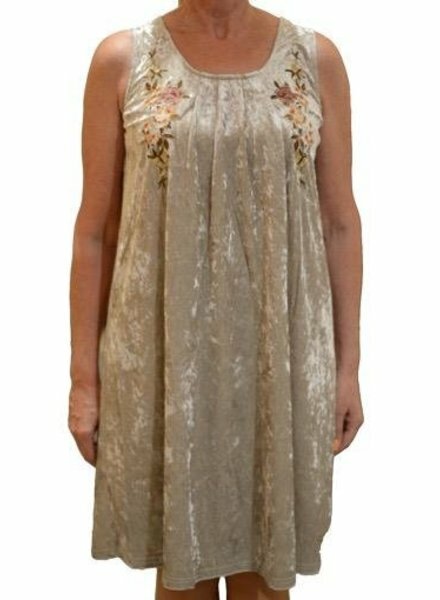 Sleeveless velvet dress. Shell: 98% polyester and 2% spandex. Contrast: 100% rayon. Hand wash and hang to dry. 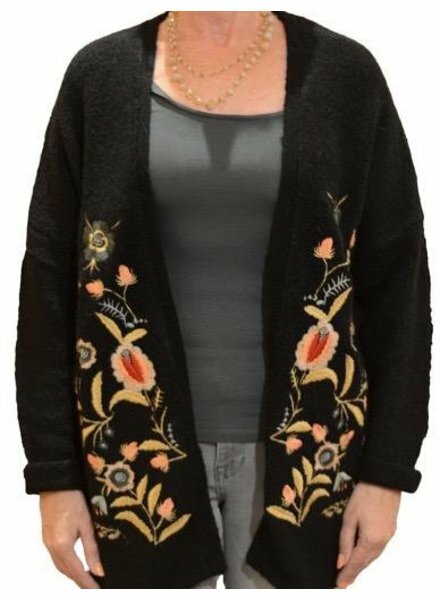 Floral embroidered cardigan. 69% acrylic. 15% wool, 15% polyamide and 1% elastane. Hand wash and lay flat to dry. 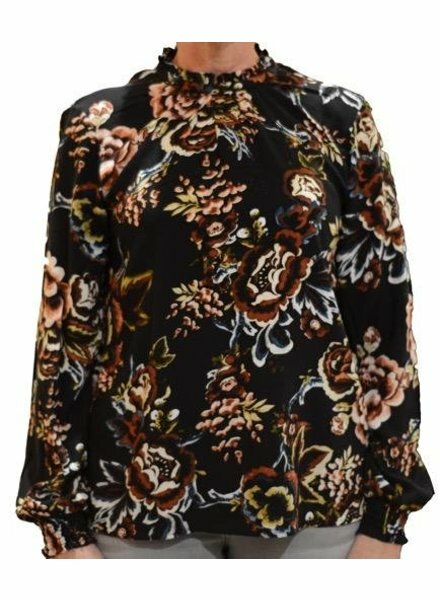 High neck floral blouse. 100% viscose. Hand wash and hang to dry. 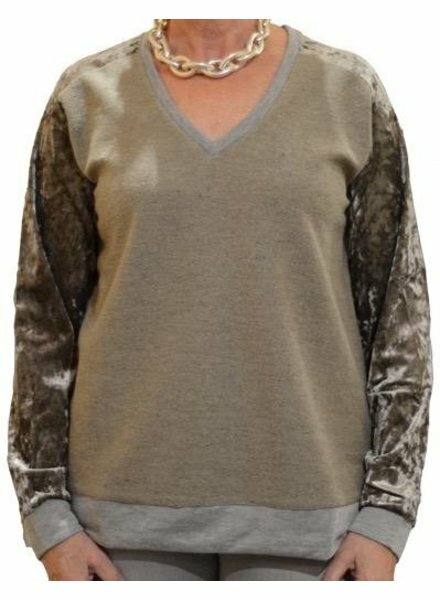 V-neck sweater with velvet sleeves. Self: 70% cotton and 30% polyester. Contrast: 100% polyester. Hand wash and hang to dry. 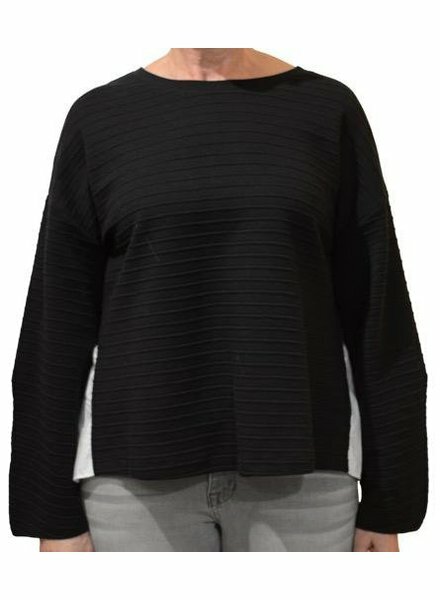 Classic sweater with pleated back detailing. Body: 92% cotton and 8% polyester. Trim: 66% polyester and 34% cotton. Hand wash and hang to dry. 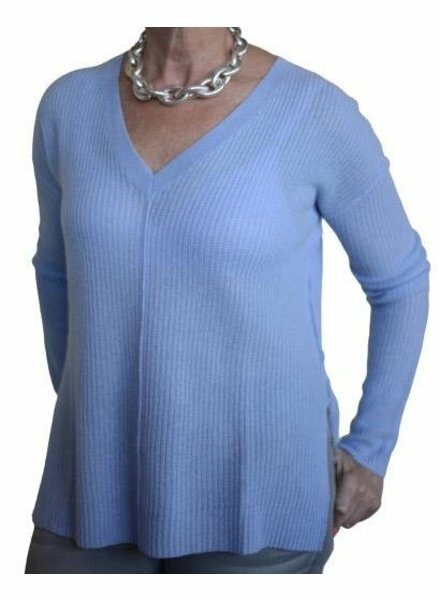 V-neck knit sweater. 100% cashmere. Dry clean only. A Canadian company geared towards the modern urban woman. Their focus is on quality and timelessness. 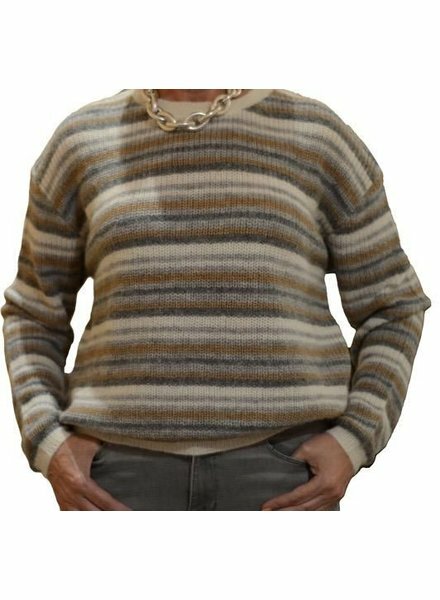 Classic striped knit sweater. 55% alpaca and 45% nylon. Dry clean only. A Canadian company geared towards the modern urban woman. Their focus is on quality and timelessness. 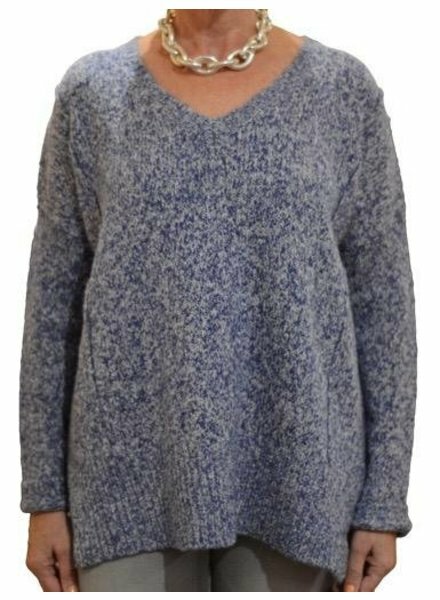 V-neck knit sweater. 56% cotton, 22% acrylic, 12% polyester, 6% alpaca, 3% nylon and 1% lycra. Dry clean only. A Canadian company geared towards the modern urban woman. Their focus is on quality and timelessness. 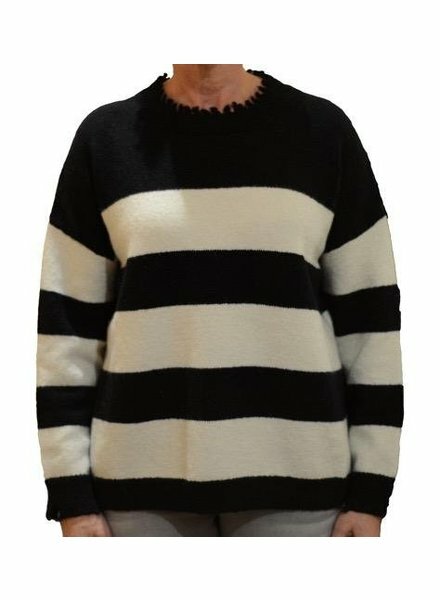 Distressed striped sweater. 35% polyamide, 45% acrylic and 20% wool. Hand wash and lay flat to dry. 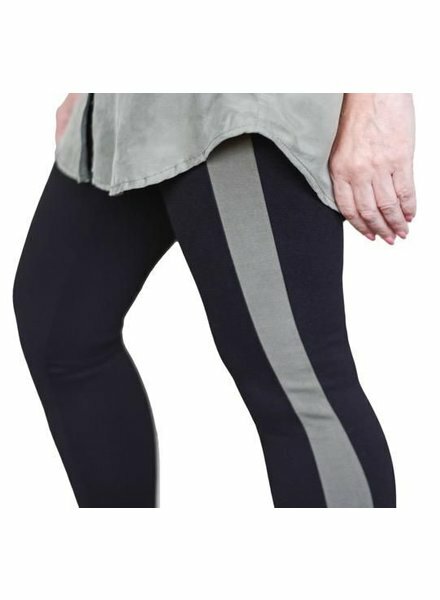 Legging pant with side stripe detail. 70% viscose. 25% polyamide and 5% elastane. Hand wash and hang to dry. Embroidered jacket. 60% cupro and 40% viscose. Hand wash and hang to dry. 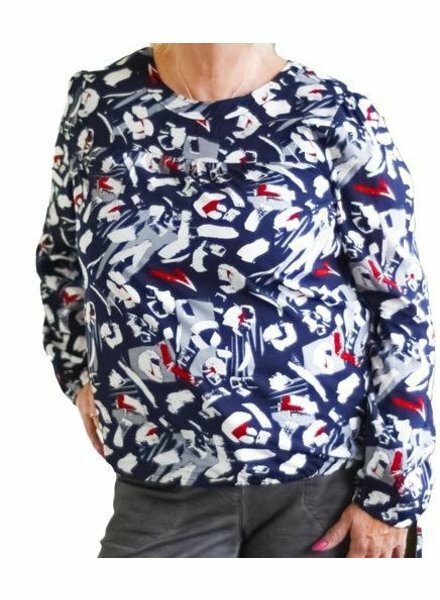 Long sleeve print top with side tie details. 100% viscose. Hand wash and hang to dry.